The launch of Grandeur Park Residences at Tanah Merah over last weekend, managed to draw about 10,000 prospects to its showflat. The 720-unit private residential new launch project is the latest offering by property developer CEL Development – situated just a mere 5-minute walk to the Tanah Merah MRT Station, which is proving to be a key attraction among the potential property buyers at the Grandeur Park Residences showflat. As reported, the average per square foot (psf) price will be approximately S$1,350 for Grandeur Park Residences. 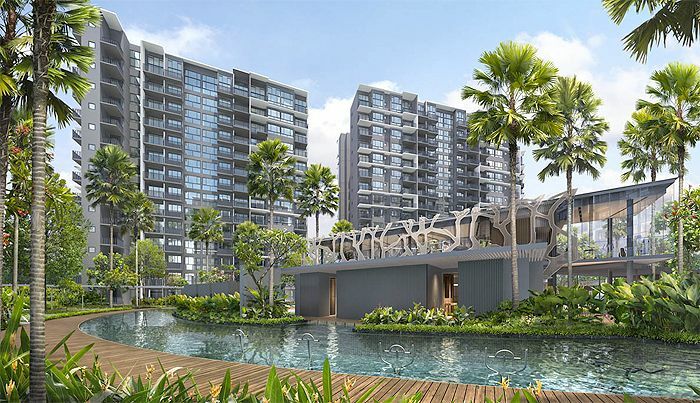 Almost 50% of the condo are 2-bedroom unit types, which will be priced from around S$700,000. CEL Development has attributed the overwhelming responses to the fact that there hasn’t been any new projects launched within the Tanah Merah precinct for the last 3 years, and are confident that the low quantum of its smaller unit types will be able to attract most buyers. Demand for new launch condo projects are starting to gain popularity in recent months – when developers managed to sell a total of 381 new homes last month (January 2017), which is 17.6% higher than January 2016. In the next couple of months, the market will be presented with other prominent projects, such as Park Place Residences at Paya Lebar Quarter and also the Seaside Residences at Siglap – both expecting to launch in March & April respectively. Sales for Grandeur Park Residences will start on 04 March 2017.